En route to the province of Nakhon Pathom, we passed a curious little village in the Samut Sakhon province. From the intricate decorations lining its street walls, I reckon we'd be visiting a ceramic-making town of sorts. I wasn't too far off with my guess. 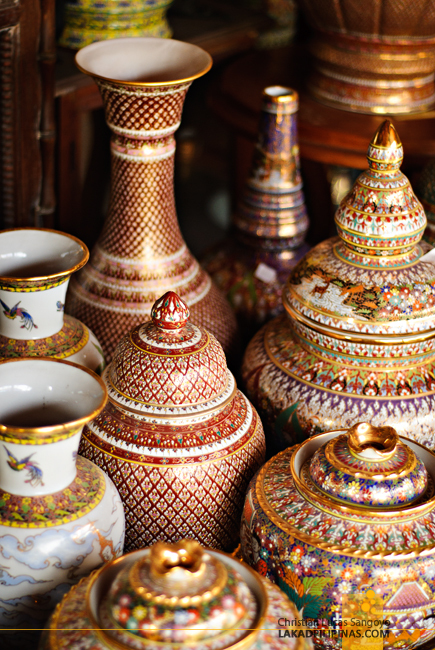 Ban Don Kai Dee, or the village of Don Kai Dee in Krathum Baen District produces the finest porcelain-ware in the whole of Thailand. 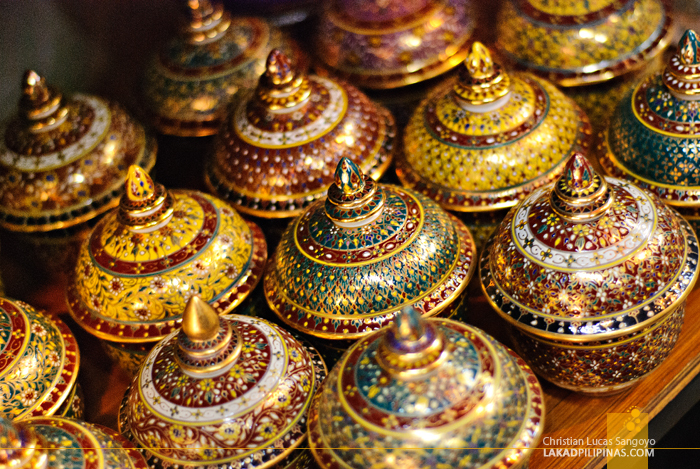 Dubbed as the Benjarong porcelain, their wares are specifically renowned for Sakkarabenchayamani or the Five-colored Gemstones of Sakhon City. It's not that their design is filled with gems, but for the five colors they use in painting them; black, green, yellow, red and white. Indeed, Benjarong, literally translated, means five colors. Curiously, the craft is not native to Thailand. Its origins came from China's Zhejiang province during the Ming Dynasty. Story has it that a Chinese princess married into a Thai (Siam, back then), and brought the art with her. 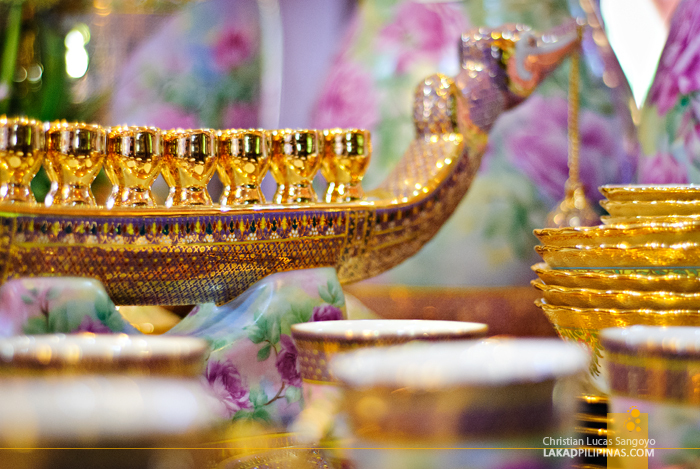 The then king of Siam requested for artisans from China to educate the locals regarding the methods of making them. 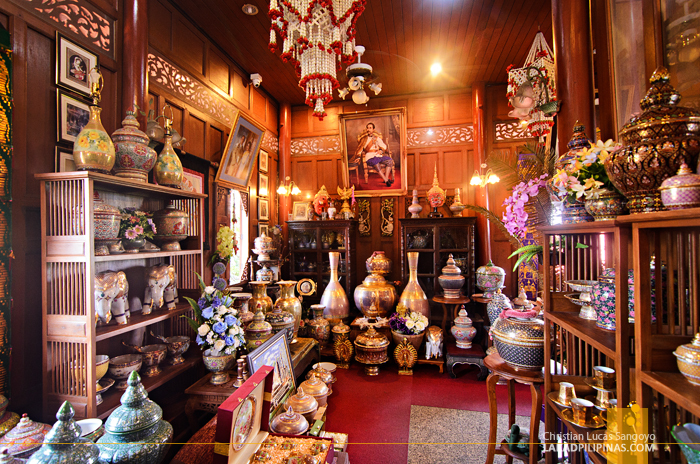 It was during the reign of King Rama V that the first Thai Benjarong emerged from Siam. How Don Kai Dee became the center of this art is a different story altogether though. Thirty something years ago, a group of ceramic workers were laid off from their jobs when a factory in the area closed down. 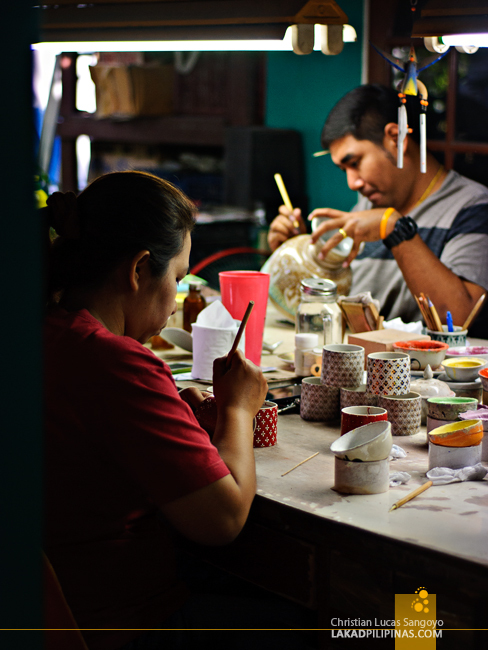 Urai Taeng-Eim, one of the workers left jobless, decided to band this group together and in 2001 started making headway in producing Benjarong ceramics. 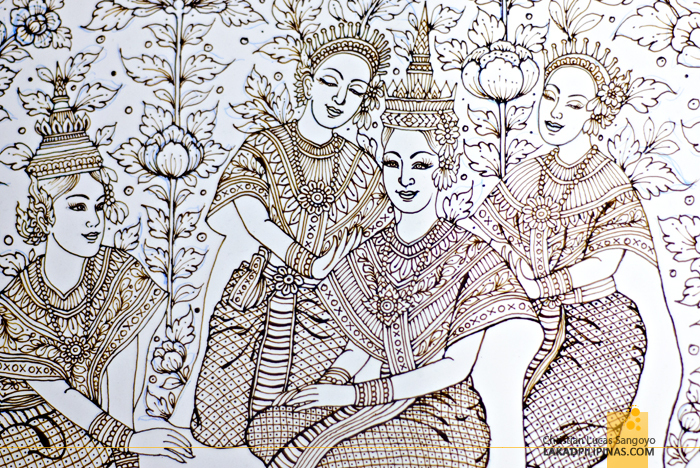 Their designs, usually repeating geometric and floral patterns combined with Thai iconographies are extremely intricate. Each stroke is hand-painted and becomes embossed after being kiln-dried. It takes several firing before it is finished, each color, requiring to be completely dry before a paint-over. The finished product requires nothing but perfection, a simple mistake in the design is not tolerated. And the delicateness of the work requires ultimate skill and undivided attention. It is no wonder that a piece, even the smallest one, commands a high price. In fact, one of the most expensive set we saw equals in value to a brand new car. Most of these are used more for decorations rather than actual dining materials due to its expensiveness. 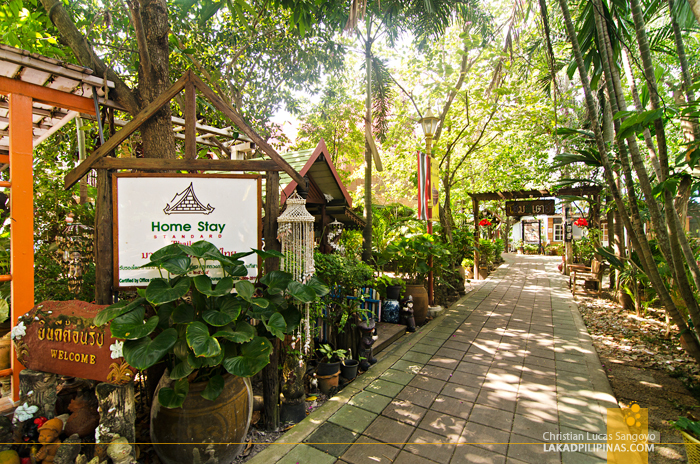 For tourists who are into this sort of thing, homestays and inns are available in the area. 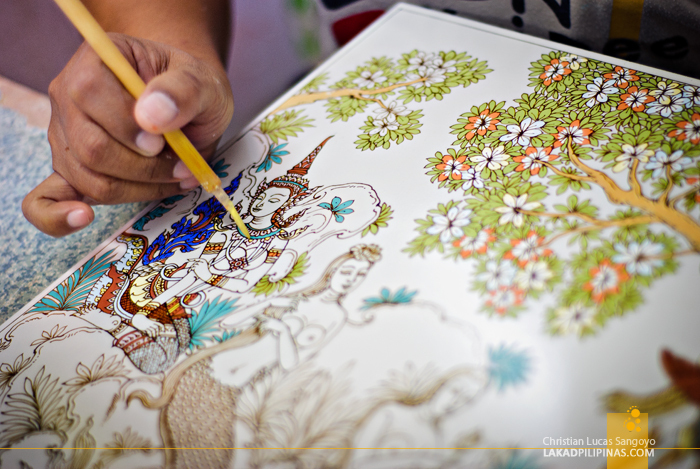 Should you want to immerse yourselves further into this art and even learn a few strokes in making one, I highly recommend that you stay a few days in Ban Don Kai Dee [CHECK HOTEL BOOKING DATES & RATES]. Just a piece of advice, be sure to keep your clumsiness in check, like I did, else a simple unmindful turn inside a Benjarong display room may result in crashing ceramic-wares. And that would probably cost you a few thousand baht. You break them, you buy them. handmade products are always the best! I make jewelry for a living. Damn I miss Thailand! Hi, thanks for your blog. I saw this place long time ago. 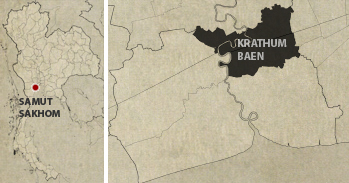 I've used to teach in Prachinnusorn School, Krathum Baen. They really beautiful and neatly hand painted by locals.